Variety reports that Park is adapting Sarah Waters’ Victorian-era-set crime novel, though moving the story around in both place and time, dropping the action in Japan and Korea of the 1930s, a time when Korea was under Japanese occupation. Sue Trinder is an orphan, left as an infant in the care of Mrs. Sucksby, a "baby farmer," who raised her with unusual tenderness, as if Sue were her own. Mrs. Sucksby’s household, with its fussy babies calmed with doses of gin, also hosts a transient family of petty thieves—fingersmiths—for whom this house in the heart of a mean London slum is home. 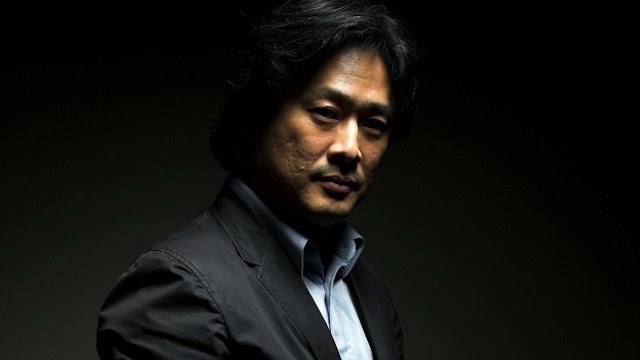 Fingersmith also reunites the Oldboy director with longtime collaborator, Jeong Seo-gyeong, who teamed up with the filmmaker on the scripts for Sympathy for Lady Vengeance, I’m a Cyborg, But That’s OK, and 2009’s unique take on the vampire story, Thirst. Fingersmith is currently filming in Nagoya, Japan, but because it’s early in the process, and because it takes a while for international pictures to trickle to American shores, it’ll be a while before we have a chance to lay eyes on this. But that doesn’t mean we’re not going to be keeping our ears to the ground for even the slightest whisper of this, anytime Park makes a movie, it immediately climbs to the top of our must see list.